Well, so far my long weekend isn't going as planned. 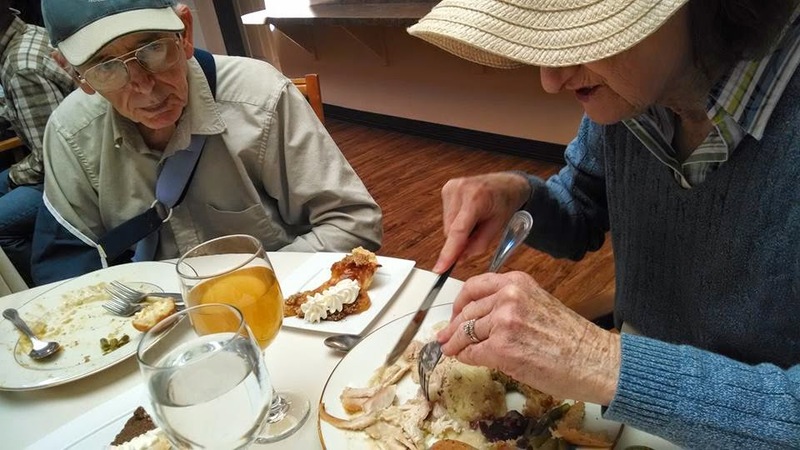 First, my dad broke his arm on Wednesday but he was back at the nursing home by the afternoon so I headed down on Thursday for Thanksgiving lunch. I was almost there when my mother called me and asked me to pick her up. I turned around since I had already passed her off-ramp and was sitting at a red light when I heard a rumbling sound. I thought maybe it was a motorcycle engine and there was a motorcycle across the street but it was too far away to sound that loud. When I pulled in front of her house, I turned the car off and I could hear the radiator boiling and smelled antifreeze. Last weekend I ran over a rake on the highway and I was hoping there wasn't any damage but it looks like I didn't escape unscathed. Luckily, the auto shop that recommended to me was only 2 blocks away so my mom followed me there and I dropped off my car. We were 1/2 hour late for the lunch. Our food was room temperature but it wasn't bad for nursing home food. At least if wasn't bland. Dad's arm was hurting and they only had Tylenol to give him so we waited for the doctor to arrive and he gave him a prescription for Vicodin. The nursing home said they would fill the prescription so we headed to Walmart to buy supplies for my dad. Then I fixed some things at my mother's house while she delivered the supplies to the nursing home. I was expecting my mother to be back any minute when the phone rang and it was the nursing home saying that there would be a $12 delivery charge for the prescription. We didn't want to pay that so when my mom got back we jumped in the car, went back to the nursing home to pick up the prescription, waited at Walgreens until it was filled and returned to the nursing home AGAIN to drop it off. By this time it was 7pm. I had hoped I would be home before 5 but I couldn't leave until we finished all of the errands because I had to borrow mom's car. It was almost 8pm when I got home and the puppies and kitties were hungry. On Friday, I expected to hear something about my car. I waited around until 1 and then called them. They said it was next to be looked at. I waited some more and they never called. They aren't open on the weekend so I won't hear anything until Monday. Meanwhile, some family friends wanted to meet my foster dog so I took her out there. I didn't realize that they lived 40 minutes away. Turns out they didn't think I was coming because of my car situation. I stayed for dinner and they kept the dog for a trial weekend. I don't know if the dog will like such an active household. They had a lot of kids. Since I didn't have a dog to take to the adoption event on Saturday, I offered to go back to mom's house so that she could visit dad or run errands but she said that she could find a ride. I suppose I should have gone out to my property today but my motivation kind of disappeared under the black cloud of unknown car bills so I stayed home. I did the usual cleaning, cooking, playing with puppies, and attempted to fix my computer's antivirus. After removing my nephew's games I finally got the antivirus to scan my computer but my work's software still won't recognize the antivirus so I will be sending emails to the IT department on Monday. I really want it fixed so that I can work at home again. It is such a great perk along with being able to wear jeans every day and taking dogs to work. 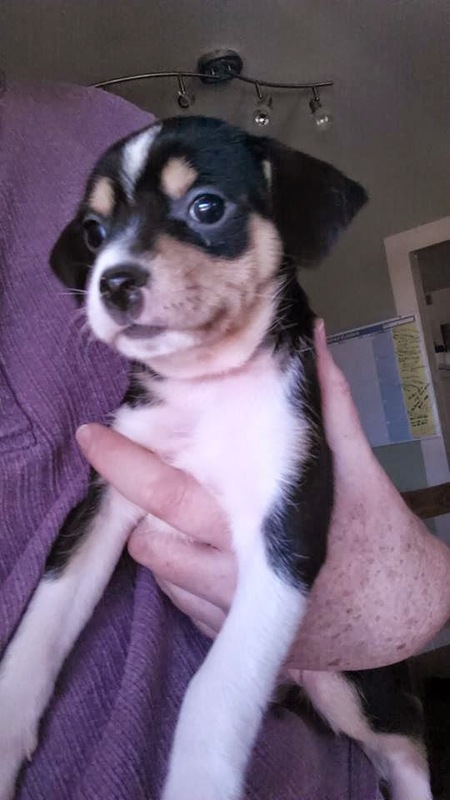 Tomorrow, I will take my 6 week old puppies to the pound to get their shots. I was hoping to take at least 3 of 5 the kittens back to lighten my number of fosters but only one kitten has reached the 2 lbs. goal weight so it doesn't seem worth it to only take back one. Hopefully, 3 of them will weigh enough next weekend so I can take them back to get fixed and adopted. So, that is my weekend so far. I hope tomorrow goes well with no bad surprises. I am so glad this is a short week coming up but I need to get my car back, pay the huge bill, and go to the dentist so I'm looking forward to those parts to being over. Poor dad.It's very difficult. You sure know how to fit a lot into a weekend! I'm kind of tired of staying home because I want to get my car back and my dentist appointment over with. I can't relax with those things hanging over my head.